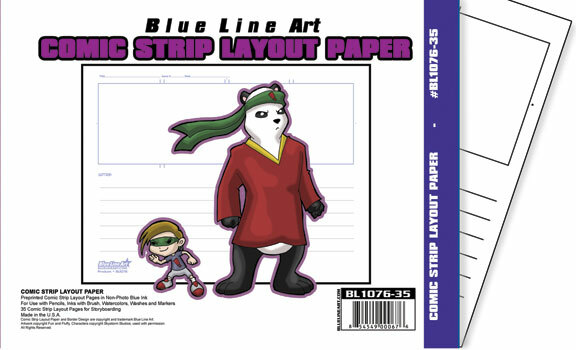 Daily Comic Strips illustrators an easy and time saving way to create professional looking comic strips. 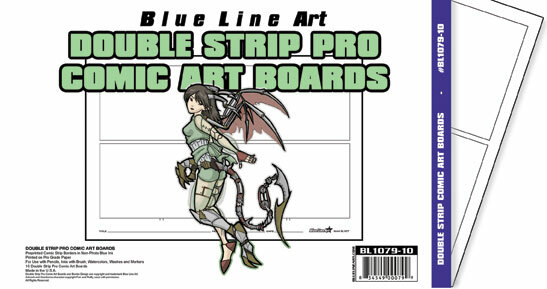 Printed on Blue Line Art’s Premiere (Strathmore) 300 series smooth with a non-photo blue border. 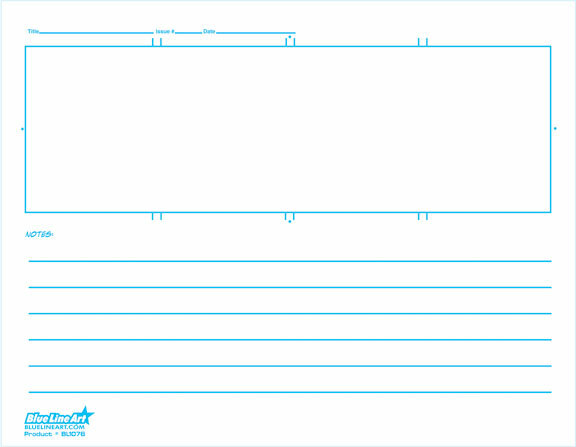 Daily comic strip are 5 1/2 x 17 with a borders measure 4 5/8 x 15 7/8. 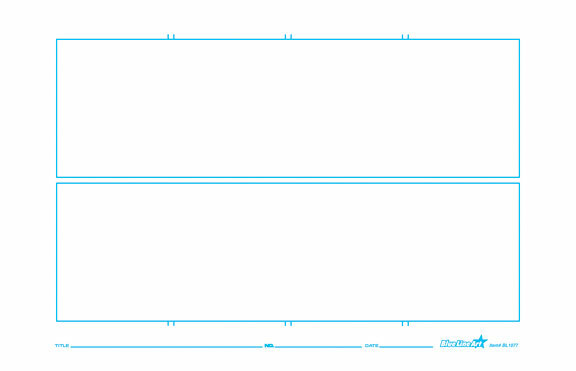 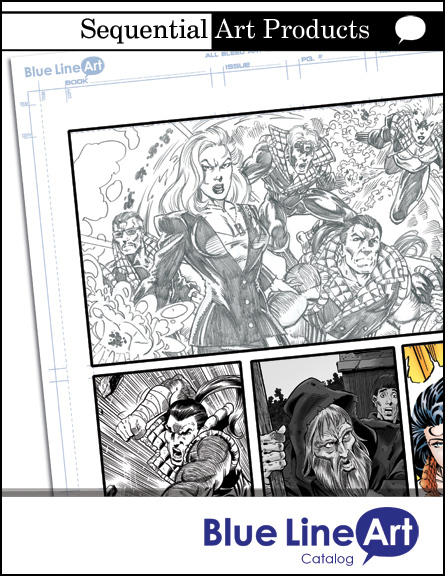 Each strip offers basic border formats for four and three panels.